Sometimes it’s the little things that make all the difference in a home workshop. This is especially true when it comes to tools. I know which ones are the most important because they’re the tools I reach for again and again. Perhaps some of my favourite little tools here can help you, too. There are two kinds of woodworkers in the world: those who never use hand planes and those who do. But regardless of where you stand or the kind of work you do, I’m convinced that there comes a point when a block plane is the only tool that can get a particular job done well. That’s why I’ve always had a block plane in my shop. I also happened to think it was working well for me. At least until ten years ago, that is. That’s when I discovered the very best block plane I’ve used to date. It’s substantially better than my others, and it also happens to be entirely Canadian. The Veritas DX60 block plane pulls off the remarkable aesthetic trick of somehow combining a modern appearance with classic styling, though looks shouldn’t sway you when it comes to choosing a plane. Performance is what counts, and delivering smooth, controllable cuts is particularly challenging for block planes. That’s because of the way they’re typically used. Block planes are all about finely trimming parts so they come together flawlessly, and this usually means plenty of cross-grain work. It’s a tough assignment, and often results in torn, washboard edges that are worse than before you started. The Veritas block plane is easy to like because it cuts smoothly in so many situations. Keep the blade as sharp as a razor and this tool will regularly make you smile. The more I learn about woodworking, the more I realize that the key to success is precision. And sometimes achieving the greatest possible precision means turning to tools from other trades. 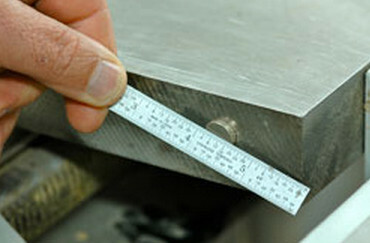 A 6” machinist’s stainless steel rule is a classic example. I never would have picked up on this if it weren’t for the time I spent working with the late Stephen Harris in the mid-1980s. His reputation as Canada’s premier designer and maker in wood drew me to work with him, and it proved to be a rigorous learning experience indeed. After Harris agreed to take me on in his downtown Toronto studio, he handed me a list of tools I needed to buy before showing up for work. 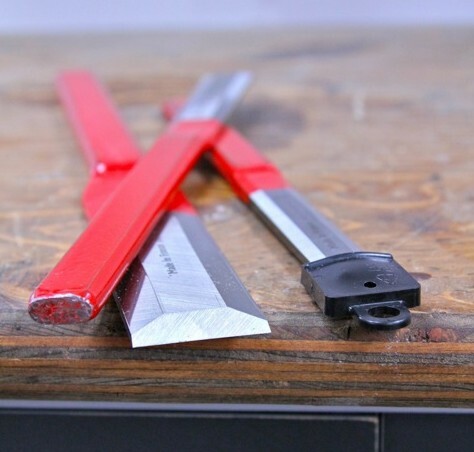 A 6” steel rule was top of that list – the very same one I still keep on my tablesaw today. I have other steel rules in the shop now, too – a couple more at my drill press and bandsaw, and a fourth rule in my tool apron. This way, I waste no time looking when I need to measure something precisely. The best of these mini-rules have graduations down to 1/64”, and marks that are etched below the surface, not just printed on top. Printed rules are no good because the marks soon wear off. 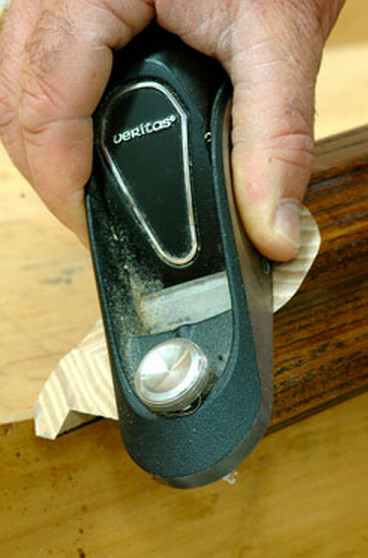 I use metal rules for setting cutting depths and fence locations, for measuring stock thickness and for determining the diameter of router bits or the thickness of saw blades. A good steel rule also makes a great glue scraper. Since it’s narrow, with sharp corners, it pulls half-hard glue out of cramped places that you couldn’t get to otherwise. And even if you forget and let old glue harden on the rule, simply soak it for a while in water and scrape clean. I use a couple of small, rare-earth magnets to hold individual rules onto the steel or cast-iron sides of stationary machines, so they’re always ready to go. Several times each year I receive samples of new screwdrivers sent to me by hopeful manufacturers. So far none are quite as good as the two kinds of Canadian-made drivers I keep around the shop. Picquic is the name of one and this brand work well for two reasons. Six of the seven 3”-long bits that come with the model of Picquics I use fit into holes around the perimeter of the handle, held there by just the right amount of friction. The seventh bit sits in the end of the magnetic bit holder on the handle, ready to use. Whenever you want to change bits, pull the current one out of the handle and push it into the hole containing the bit you need, moving it forward so you can pull it free and slide it into the central part of the handle for use. It’s fast and easy, and since the bits aren’t stored in a single, hollow cavity in the handle, there’s no cap to lose. 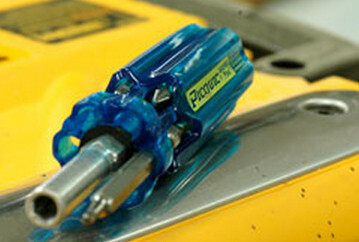 Megapro is another impressive Canadian brand of screwdriver, and though I haven’t used Megapro for as long as Picquic, I really like them. Megapro’s claim to fame is an outstanding ratcheting and bit storage system. It’s really quite remarkable. Click below to see for yourself how things work as I cut open a Megapro driver to see what makes it click.